On the rocky cliffs of Scotland's northeast coast stands the medieval fortress called Dunnottar Castle. The structures were built between the 13th and 17th centuries in a strategically located area overlooking the shipping lanes of northern Scotland. The only access to this castle is via a narrow strip of land that connects to the castle grounds, which comprise roughly three acres rising 160 feet from the sea. 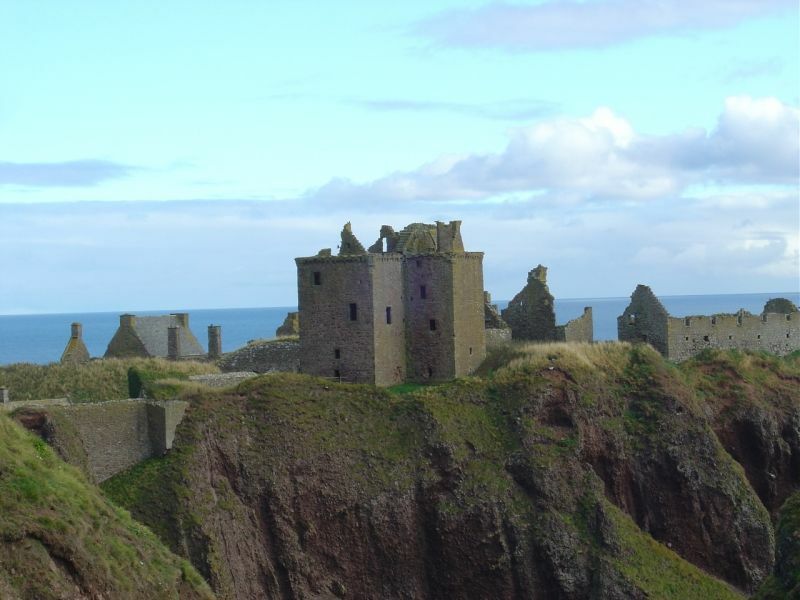 The name Dunnottar is said to come from the Scottish Gaelic Dùn Fhoithear, meaning "fort on the shelving slope." Dunnottar was used as an administrative complex for the kings and queens of Scotland. Mary, Queen of Scots, visited Dunnottar in 1562 and 1564. Today the castle is a tourist destination and bird sanctuary.